oh, this month is going to be so good! canada day AND the 4th of july, family in town, and lots (and lots!) of yummy bbq grub! yup, july is going to be a good month! we’ve got so many parties, events, and fun summer activities to plan out, so i’m printing out my calendar today and jotting it all in. 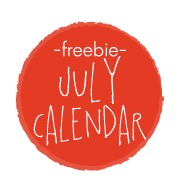 my kids have their summer fun calendars (<–click the link to get your free printable!) well under way and are having a blast every day! here’s to the water-playing, sunshine-soaking, (not so) lazy days of summer! psst…if you’re looking for more free and/or premium calendars, check out my new calendar’s page! they’re all there in one place, so you can find exactly what you’re looking for! 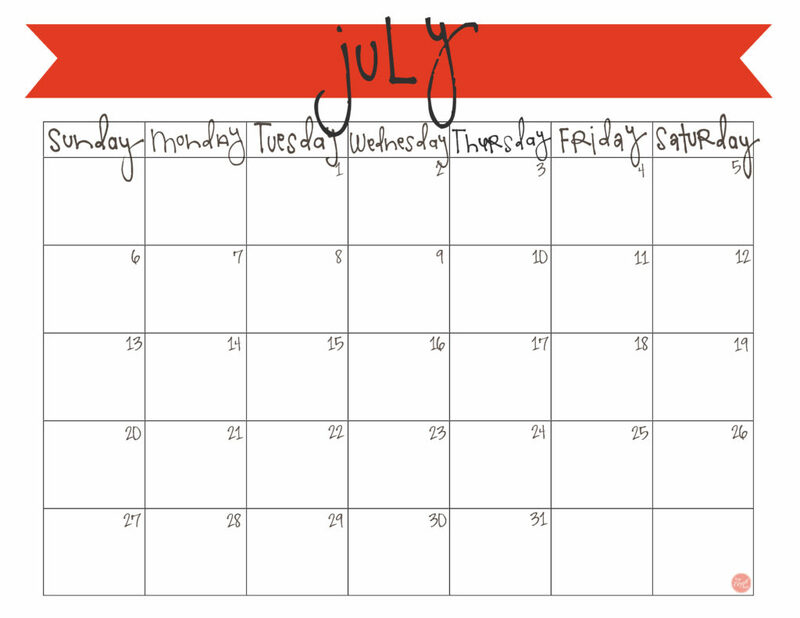 click here to download your free copy of the july calendar! thanks for visiting, and have a very happy, patriotic, hot-weathered july!! « how and why i menu plan. I always print these out for my desk at work. MUCH better than the boring generic calendars you typically find and they add colour. I have this site bookmarked on my work computer. When will you have August 2014 posted? Hi Jessica! The August calendar is now available! 🙂 So glad you like them! I use your calendars monthly! When will you have the August printable calendar uploaded?